There are a number of different areas of practice that Chad Bowers has focused on during his career. Having expertise in a broad number of related areas of practice ensures the most comprehensive legal representation for your case. Below is a brief overview of the types of cases he handles. Notable Decisions he has achieved in each area are also listed on the site. Automobile accidents are the primary cause for the vast majority of personal injuries and although most injuries are minor it may take days or weeks for an injury to fully manifest. If you fail to promptly obtain a lawyer you may miss your opportunity to bring a claim. You may be entitled to compensation for lost wages, medical expenses, pain and suffering, and other hardship. Our office can also arrange for you get immediate medical care from physicians, chiropractors, physical therapists or other medical providers and handle all of the necessary financial and insurance arrangements related to your accident. Mr. Bowers has been able to negotiate settlements for accident victims in a variety of cases since 2001. Although our law office primarily focuses on holding others accountable for their harm to individuals we have experience representing businesses and corporations in litigation and other matters. Whether as a result of product defect claims, automobile accidents, homeowner liability or other causes, catastrophic injuries and wrongful death raise issues that require an attorney with specialized background and skills. Mr. Bowers has successfully represented individuals, as well as those surviving relatives, who were serverly injured or killed as a result of negligent, reckless or intentional action by another person or corporation. Medicare, medical liens, taxes, future care and other expenses all dramatically reduce what might appear to be a fair settlement. Prior to settling a claim for any catastrophic injury or death, you should have the information you need to understand how much you will actually be left with to care for yourself or your family. A dog bite or animal attack can be a frightening experience resulting in the need for medical attention, rabies shots and possible scarring. Unfortunately most of these incidents involve children, and can be made even more difficult when the owner of the animal is a neighbor or friend. Let our office handle your claim and work with the medical and insurance providers to ensure you receive the best care and compensation for you injury. In addition we work to determine medical or emotional impacts of this injury now and in the future. Sexual and physical abuse of children is problem of epidemic proportions. Stemming from a significant case of sexual abuse in Henderson, NV in 2001, Mr. Bowers has devoted himself to handling a wide variety of abuse cases involving children. As parents we rightfully place our trust in the Boy Scouts, Churches, schools and other youth serving organizations and when that trust is violated those institutions, as well as the individuals, should be held responsible. Protecting the interests of, and advocating for, children and their parents is of primary importance to Mr. Bowers. We vehemently believe that those who injure children should be held accountable, and we have successfully brought cases against numerous individuals and organizations for these crimes. When you hire a professional, whether a doctor, lawyer or other specialist, you expect them to utilize their experience, education, and training necessary to perform those services properly. When these professionals are negligent, unprofessional, or careless they should be held responsible for their actions. Our office has handled numerous cases of professional negligence including cases against accountants, physicians, attorneys and other professionals. When you make a purchase you expect that item to be safe for you and your family. Unfortunately there are times where a faulty product causes an accident, injury or even death. Mr. Bowers work has included cases related to design and manufacturing defects in consumer goods, most notably tires. Product safety cases are time consuming and require intensive investigation to identify and prove the product was defective. Whether tax violations, securities fraud, gun or drug related charges, Mr. Bowers handles selected criminal matters. 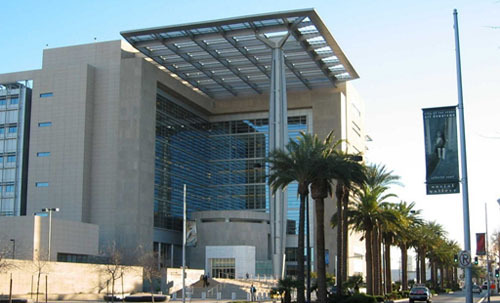 When dealing with the Department of Justice or the United States Attorneys’ Office, experience, competent advice and quick decisive action can all make the difference in how your case is resolved. With experience in handling felony and misdemeanor cases, Mr. Bowers has regularly represented individuals in federal and state criminal court, as well as the 9th circuit.